It was a fun and fulfilling IRA conference – a great opportunity to gather inspiration from some of the most innovative thinkers in the literacy field! 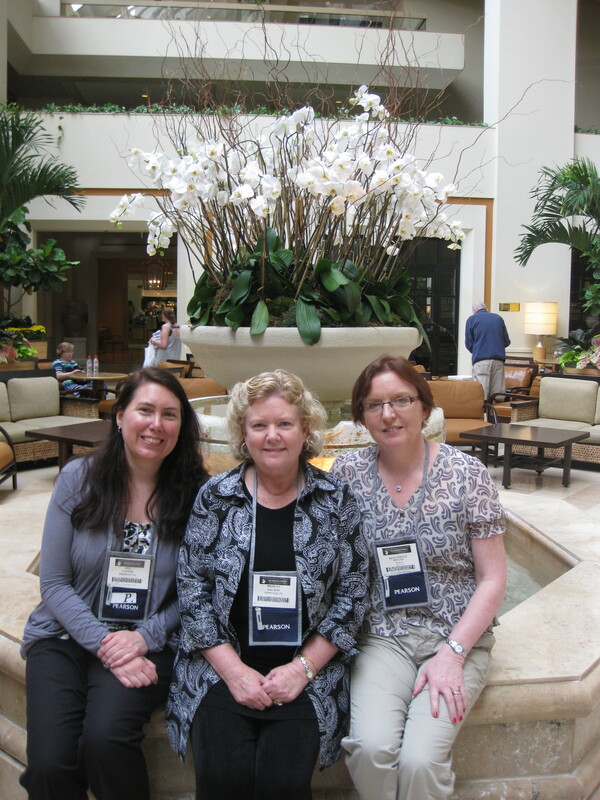 We’re so glad to have had the chance to catch up with friends, meet new colleagues, and attend several amazing sessions. The Technology in Literacy Education Special Interest Group (TILE-Sig) session (see http://tilesig.wikispaces.com/Conference) was well attended and sparked many new ideas for using digital tools to support literacy learning. As last year’s recipient of the Outstanding Research Award, David O’Brien (University of Minnesota) gave the keynote entitled Bridging Traditional and Digital Literacies: From Apprehension to Affordances which he skillfully presented from his iPad. His talk sparked thoughtful reflection about the break-neck speed of change in the range of digital media and its potential to support and enhance learning. The keynote was followed by six round-table sessions that were both engaging and interactive. Tons of new teaching ideas for using digital tools in the classroom were shared. Many of the resources featured, as well as the best list we can find of the latest new online resources, can be found on the cool tools page http://tilesig.wikispaces.com/Cool+Tools. On the same TILE-Sig wikispace, check out the slides and resources shared from the Pre-conference Technology Institute. 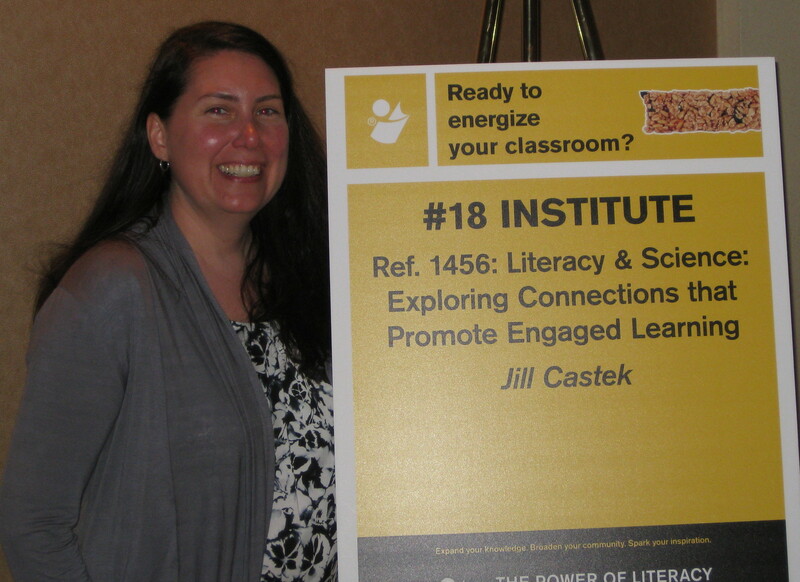 The pre-conference institute entitled Science and Literacy: Exploring Connections that Promote Engaged Learning (see https://sites.google.com/site/literacyandscience/) was chalked full of new ideas for addressing content learning. Bridget’s delivered an outstanding presentation that addressed Reading and Learning Science with Digital Text and Media. The talk bridged research and practice and challenged participants to explore what it means to be a reader in the 21st century. Using a Universal Design for Learning framework, she shared several tangible examples that illustrated the power of digital tools to support literacy and content learning. Laurie A. Henry and her colleagues from University of Kentucky and the University of Louisville connected 21st Century Literacy and Science in the Middle School Using the 5e Learning Model and showcased a range of effective teaching techniques. Bridget’s and Laurie’s slide, as well as other resources, can be downloaded from the institute website! Videos of all the sessions will be added soon. Bernadette was a finalist for the IRA Dissertation of the Year award! We love that IRA brings us in touch with international perspectives that expand our literacy viewpoint. 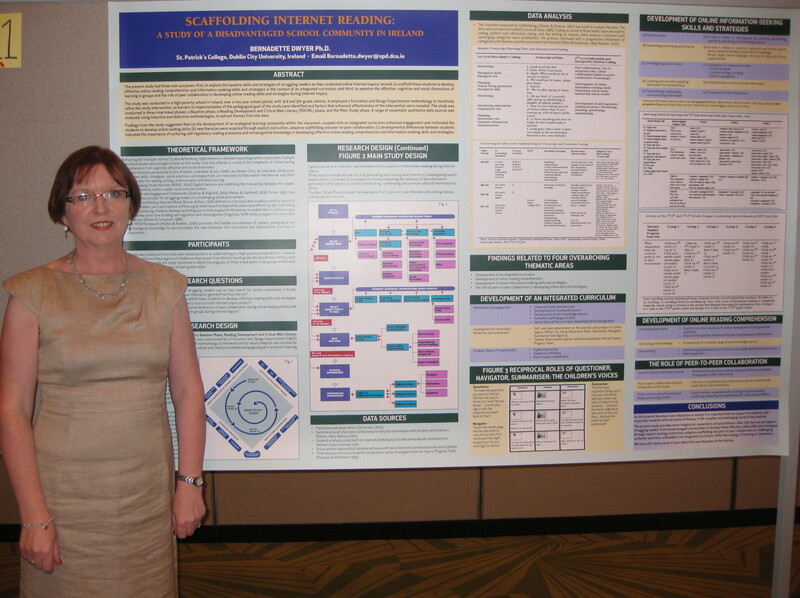 Bernadette’s poster summarized her dissertation study entitled Scaffolding Internet Reading: A Study of a Disadvantaged School Community in Ireland and drew attention from numerous interested participants. Bernadette skillfully described her development of an integrated inquiry-based curriculum which included cross curricular units that linked literacy, science, and the Internet in an authentic classroom-based study. She monitored in-depth the progress of three triad groups within each class cohort during Internet workshops and also conducted a series of Internet Inquiry Progress Tasks across the study. We congratulate Ber on her groundbreaking study. Her findings have helped the literacy community worldwide better understand the nature of collaboration in Internet-inquiry and online learning.